Salty, sweet, and spicy to go! Grab it and go! 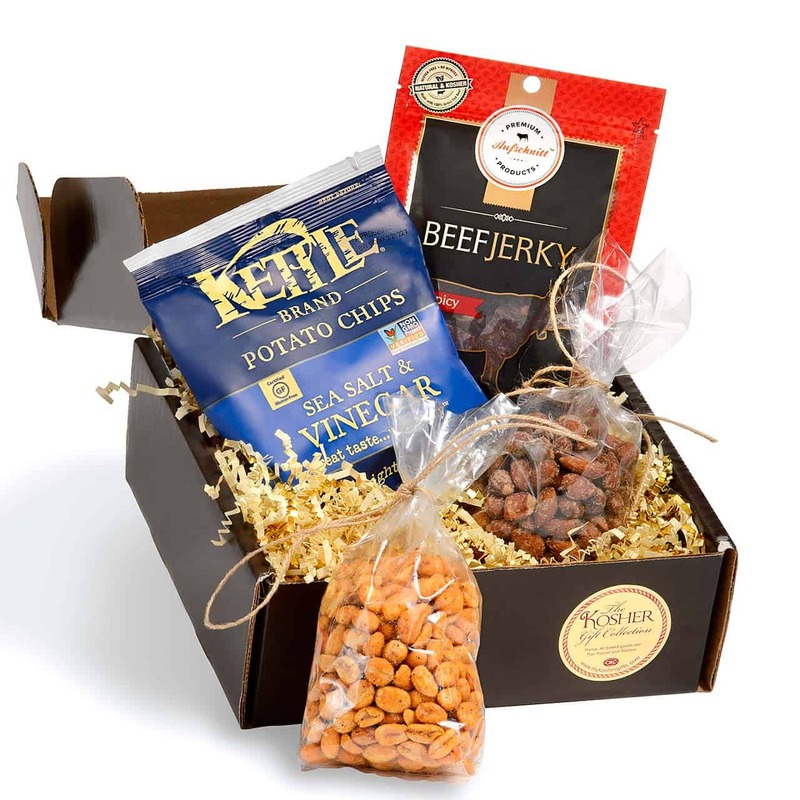 Our Deli Nosh Box is the perfect snack to tide you over until your Purim seudah, conveniently stashed in our sturdy little logo box that includes hamentaschen (not shown), spicy beef jerky, smoked almonds, sriracha peanuts and salt and vinegar potato chips. Deli Nosh Box measures 8”H x 8”W x 3”D. All gifts are shipped close to the holiday. All contents are individually packaged for freshness. It lights up! It spins! It plays music!